The CPR training for GP Practices is designed to maintain CPR skills for clinical staff and is taught only by Resuscitation Council accredited instructors who are also experienced hands on instructors for hospital cardiac arrest teams. It is taught in-house at your own GP practice. The CPR training for GP Practices lasts from 2 – 4 hours and can include AED (defibrillator) training and as per Course Outline below. The CPR Training for GP Practices is suitable for healthcare professionals or anyone working within the healthcare industry including doctors, nurses, receptionists and support staff. CPR Training for GP Practices is an annual mandatory training requirement in many healthcare environments and professions including Nursing, Care Workers and Medical Professionals. 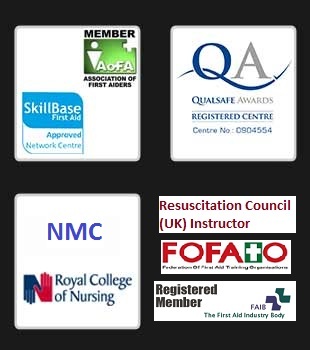 CPR training for GP Practices can accommodate up to 12 candidates. The CPR training for GP Practices is certified by ResusPlus Training on the basis of continuous assessment by the trainer. Successful candidates shall be issued with a ResusPlus Training CPD certificate valid for 1 year.